Congratulations to the 2017-18 Undergraduate Academic Affairs staff recognition and distinguished partner awardees. Selected for their dedication to supporting UAA’s mission of creating innovative academic experiences for undergraduates, these 23 staff members made an indelible impact on the UW’s students, faculty, staff and community. • Annie Lewis, Lead Tutor for the Writing Center, Academic Support Programs and Peer Advisor, Undergraduate Advising. Awarded to employees who have worked in UAA for at least five years, this award celebrates the employee’s leadership in creating formative student experiences and building the necessary infrastructure to support their vision. 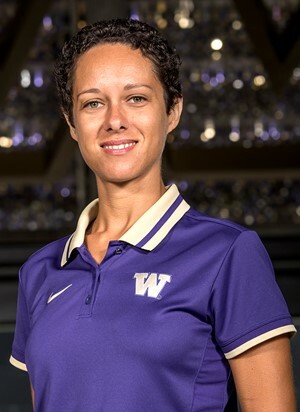 Lisa Bruce shaped all student athletes’ undergraduate experience by transforming and elevating the tutoring systems and processes. 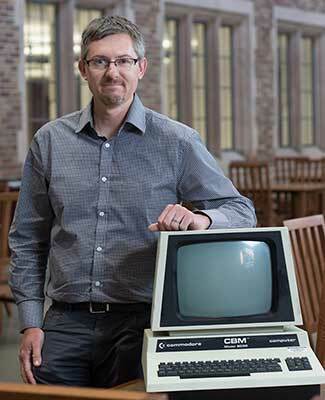 Through the use of innovative technologies, Josh Gibbs built computer systems and software to ensure that UW’s students’, faculty and staff have the tools they need to have a leading-edge student experience. Achievements of note: Named the Intercollegiate Athletics Star Performer in 2018 for her growth mindset, committed service, humility and grit. Provided high-level leadership in areas of scheduling, managing, training and mentoring tutors. Overhauled policies, procedures and systems for the SAAS’ tutoring program, resulting in higher tutor job satisfaction and significant cost reductions without change to the students’ experience with the program. Traveled with the men’s basketball team to China in 2015, playing an important role with helping the students get the most out of the cultural experience and assisted with a class they were taking to prepare for the trip. “While Josh’s contributions to the undergraduate experience stand out, it’s his caring and genuine support of our staff that I get to see most often. Josh has a philosophy that’s visible across his daily interactions and present throughout the technological infrastructure he has built here. The philosophy that we each come to UAA with our own unique knowledge and experience, talents and preferences, and that the role of technology in our work should be nothing more than a set of tools to boost what we’ve already brought with us. Achievements of note: Led UAA through several generations of technology, providing support and tools for effective work. Built the Assigned Advising Dashboard to help advisers manager their caseloads and student check-in systems for advising, CLUE and Dawg Daze. Developed check-in and tracking systems for the Commuter and Transfer Commons and the Center for Learning and Undergraduate Enrichment. Manages student data for UAA. Recognizing the innovation, collaboration and tenacity it takes to initiate change, this award acknowledges the teams behind some of UAA’s innovative programming. 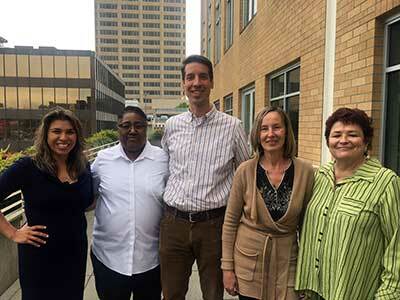 The UAA Workday Transition Team prepared UAA for the largest administrative transition in UW’s history. The Instructional Assessment System [IASystem] Team responded to the feedback from the Transforming Administration Program (TAP) initiative survey, and is now updating the IAsystem to better serve the faculty’s needs. Achievements of note: Attended two years of monthly status meetings leading up to the launch date. Identified the impact of changing business processes and workflows for each unit, and revamped processes as necessary. Responded to six months of repeated requests for data collection and cleanup of employees in the payroll system. Constructed the new “sup org” model of identifying and organizing all employees within UAA. Completed 40-80 hours of training each. Served as first point of contact for all staff and students during the transition period. 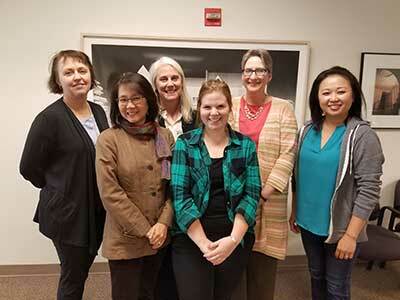 Team members: Nermine Botros, Kelly Chapman, Sylvie Lapointe, Kim Lee, Chloe Mahar, Christine Muongchanh, Nanette Rosenthal, Iryna Schmidt and Mark Wu. Achievements of note: Improved IASystem training and user experience by offering links to additional resources. Added the ability for instructors to create and manage their course evaluations. Enhanced communications with faculty through quarterly emails. Addressed concerns about response rates by offering updated best practices. Built a stable base of college/university licensees of IASystem. Built and released a new version of IASystem in response to customer needs and interests. Student employees are an integral part of the UAA staff. 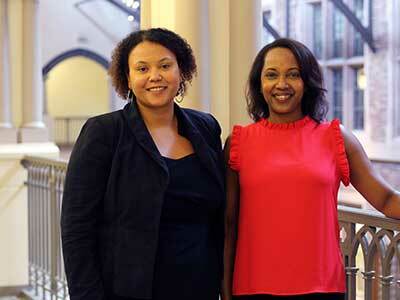 This award recognizes the outstanding achievements of two student employees. Annie Lewis’ leadership as a writing tutor and a peer advisor has helped the Center for Undergraduate Advising, Diversity and Student Success become more supportive for our students. 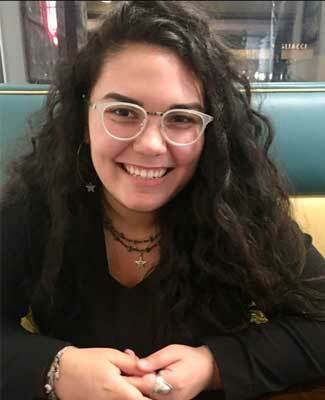 Under Ann Margaret Stompro’s leadership the Pipeline Project’s Environmental Alternative Spring Break Program (EASB) has had more applicants in the past three years and has been able to expand the student team. Achievements of note: Recipient of the Bonderman Fellowship, the Thomas Paper Prize, the Grand Prize of the Library Research Award, the Dean’s Medal for Social Sciences, the Husky Leadership Certificate, the Peter L. Thorpe Scholarship, the Fay A. Wilson Scholarship, and the Honors Undergraduate Scholar Award. Member of Phi Beta Kappa. Presenter at the 2017 Spring Celebration of Service and Leadership and the 2017 and 2018 Praxis Conference. 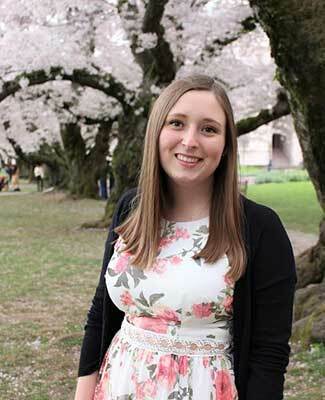 Undergraduate nominee for the Luce Scholars Program. Achievements of note: Led and coordinated the EASB Program for two years. Trained students on developing curriculum for the program. Successfully grew the EASB program from a student team of 4 to 5. Incorporated Pipeline Project’s racial equity goals into the EASB course. The Undergraduate Academic Affairs Distinguished Partner Award recognizes a colleague, program or department whose collaborations with Undergraduate Academic Affairs have made significant advances in the University of Washington’s undergraduate academic experience. These collaborations enhance, enrich and deepen the undergraduate experience. The reciprocity of these relationships benefits undergraduates and the broader campus community.